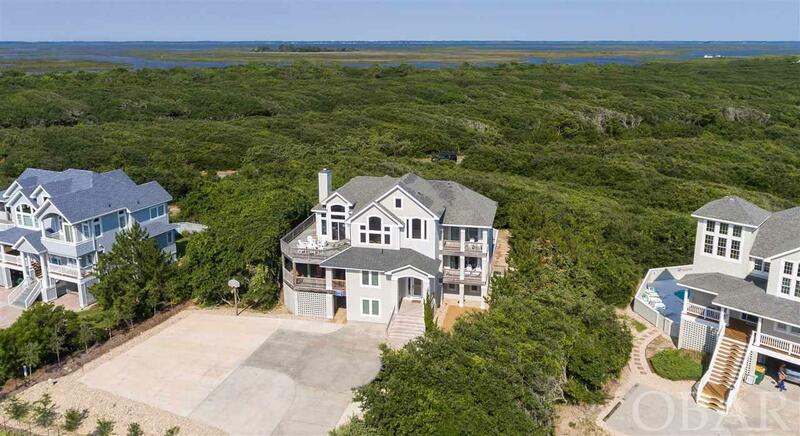 Pine Island Nine-bedroom semi-ocean front house at the end of a private, desirable cul-de-sac. Fantastic rental income, outstanding investment opportunity. This house was recently renovated by Olin Finch and includes: new kitchen with double appliances, all new furniture, all walls painted, all new flooring, two new heat pumps. new hot tub and many other improvements. 1,050 heated living area was added. 3 refrigerators, 2 range/ovens, 2 microwaves. Beautifully professionally decorated and landscaped! This house is turnkey ready for renters, perfect for your family vacations and has a solid financial projection (ask for a copy). Great investment!